These are all beginners kits that will meet the needs of almost all beginner fencing classes. If you’re unsure, reach out to your new fencing club or coach for more information. You’ve tried it, you love it, now it’s time to buy your own fencing gear. 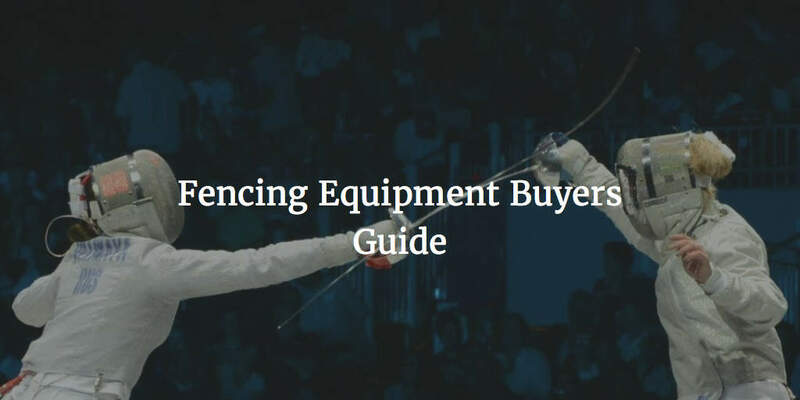 Buying your first set of beginner fencing equipment can be a little overwhelming. What should you buy and how much should you pay? Many clubs will lend you equipment when you are just starting and doing a beginner course. Once you’ve completed the course, and are hooked, you will be encouraged to buy your own equipment. There are really only two options for buying your first set of beginner fencing equipment: buy individual items one at a time until you have a full set, or buy a pre-assembled “starter kit”. The first option allows for a smaller commitment and up front cost. The second option tends to be a better deal, because fencing vendors tend to have a lot of special deals for beginners buying their first set of equipment all together. Fencing starter sets cost around $120 – $160 for beginner gear consisting of the jacket, mask, glove, underarm protector and weapon used in most introductory classes. For women there is an additional cost of around $25 for a chest protector. 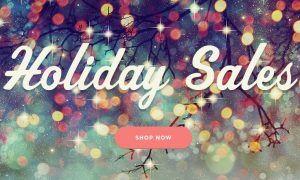 If all you need is a practice weapon and glove, those can be purchased for less than $50 total. There are more expensive starter kits that are aimed at preparing you for competition. These are certainly optional and depend on what your coach has in mind for you. As a rule of thumb, figure out what you need to buy from your coach and stick to their list when making your purchase. Make sure to check out the basic starter kits along with the options available. You can find some good sets at Absolute Fencing Gear, but note that the range of options available are extensive. Most beginners are likely looking at the gear at the top of the page (and therefore less expensive). And a Practice Weapon (foil, sabre or epee). 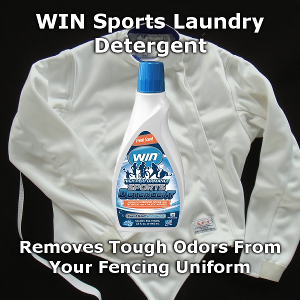 The fencing jacket is to help protect the torso and arms of the fencer. It’s important to select a jacket that is well made and that will provide adequate protection. The US does not have a set standard minimum safety requirement, though Europe requires a 350NW (CE Level 1) standard of protection by rule. For international tournaments, the requirement is greater and “FIE” gear tests to the CE Level 2 (or 800NW) standard. But as a beginner, this is not required. And in the United States, the 350NW is not required either, though it is highly recommended for safety reasons. When starting out, the basic or 350NW uniforms are more than adequate. The main choices you’ll need to make are between cotton or synthetic materials. Cotton tends to be cheaper, but is heavier and hotter while the synthetic materials are lighter weight but slightly more expensive. The other choice to be made is back-zip or a front-zip jacket. 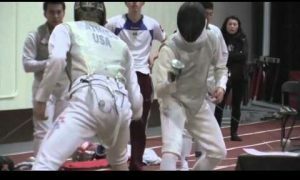 Back-zip jackets are made to be worn by right or left-handed fencers universally, but they’re harder to wear because the back zip is a little difficult to use. Front-zip jackets are easier to use, but you must decide up front if you’re a right-handed or left-handed fencer, as a right-handed fencer must use a right-handed jacket by rule. Fencing Armor has a line of 350NW jackets that run in the $60 range, which is a reasonable price. Fencing masks are one of the most personal pieces of equipment a fencer tends to buy (it doesn’t feel great to wear a shared mask for very long), and consequently is usually the first or second purchase a new fencer makes. The mask is also for protection so be sure to choose a mask that has sufficient interior padding, does not press on the top of the head or chin, and fits comfortably. 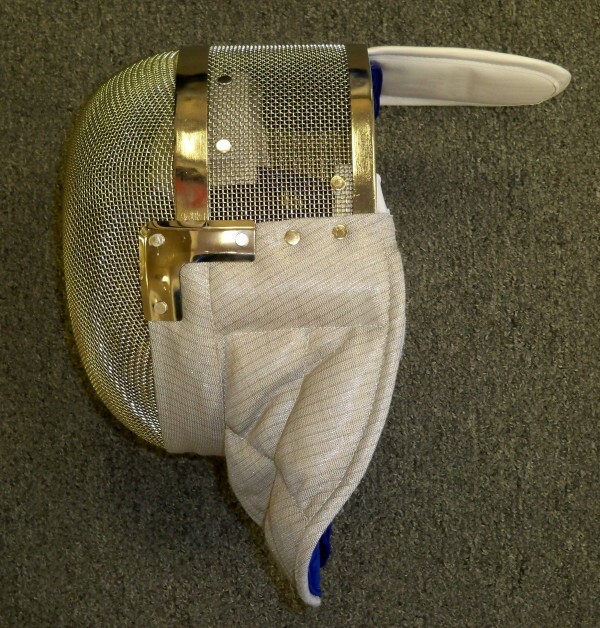 Fencing masks also come in “standard” (or non-FIE) and FIE models. The FIE model is for use in higher level competition and has a higher safety rating attached to it ,but FIE masks are significantly more expensive. The standard masks will be adequate, but most fencers who are sticking with the sport for 2 or 3 years will eventually upgrade to an FIE fencing mask for the extra protection and higher level features that only tend to be available on FIE masks. If you are a true beginner and have no intention to fence electrically(wired up and attached to the scoring machine) or if you are sure you’re going to be fencing epee, you can buy a standard epee (aka 3-weapon) mask. These masks have no electrically conductive parts and as noted, can only be used to fence epee electrically. If you know you’re going to be fencing foil, make sure you purchase a foil mask. These are the masks with the electrically conductive material near the bottom of the mask. If you know you’re going to be fencing saber for sure, make sure you purchase a saber mask. These are completely electrically conductive and often look completely silver in comparison to other masks. 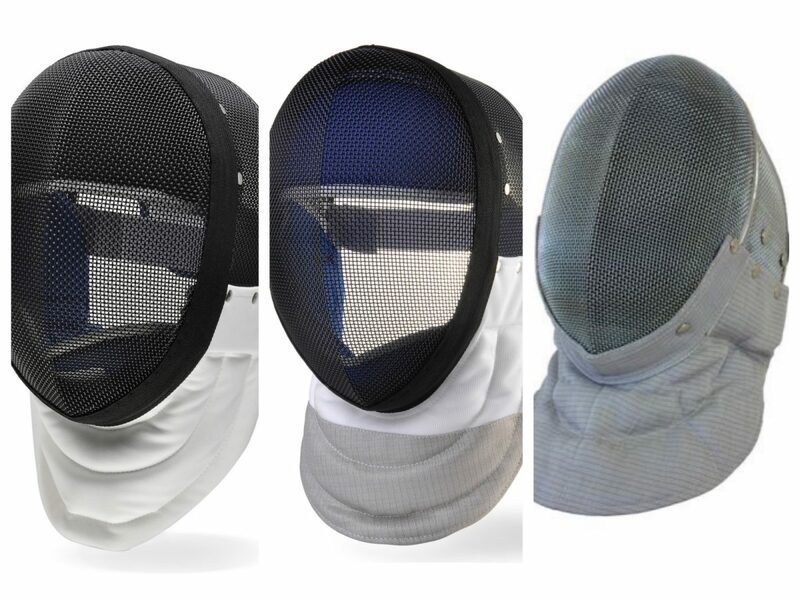 Fencing Armor has a line of basic masks that start at $60 for foil/epee and $80 for saber. The fencing glove is usually the first or second purchase a new fencer makes. Gloves are just easy and cheap purchases, comparatively. And getting a properly sized glove does wonders for your fencing. So upgrading from the shared club equipment glove that perhaps doesn’t fit quite right is a great first step into fencing equipment ownership. Although you can buy non-electric gloves it is almost always worth buying a glove with a Velcro cuff that can be used for electric fencing. The Velcro cuff allows you to easily connect the body cord from under your sleeve to an electric weapon. The less expensive gloves are sized either as small, medium or large, while the more expensive gloves come in individual glove sizes for a better fit. For saber fencers, you have different requirements. As a beginner, you can buy an electric cuff or electric glove (like one of these from Absolute). 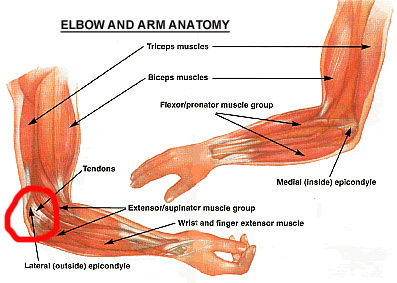 Cuffs go on top of your glove to make your wrist fully target area. Or you can get a fully electric glove, but those are more expensive. 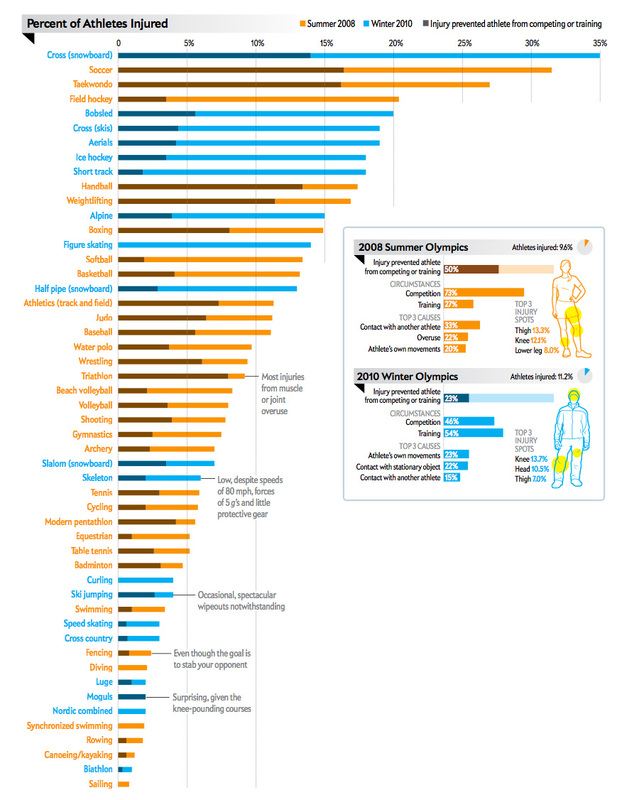 For international competitions, there are other glove related rules. But since gloves are the least expensive individual component of your uniform and this is a beginner’s guide, you can cross that bridge when you get to it. Fencing Armor has an inexpensive but individually sized glove for $25. Underarm protectors are essentially half-jackets that you wear underneath your jacket on your primary arm for more protection and padding. They are required for competition and required in most clubs. But more importantly, they help take the sting out of getting hit, so they’re well worth it. You can find underarm protectors with higher levels of protections for FIE-level competitions, just like most of the previous pieces of gear. But for the beginner, this absolutely is not necessary. A basic underarm protector runs about $20. For women, a chest protector is required. For men, you can buy a chest protector if you feel like you need one. Kids tend to prefer wearing them as it helps them get over the fear of getting hit. But generally speaking, men don’t have the same anatomical issues and therefore don’t have the same requirements. Sizing is an important concern because the sizing of chest protectors is not as fine-grained as, for example, bras. So if you’re not sure, size up. Chest protectors tend to cost around $20-$25. Foil: The foil is designed for thrusting. The blade is very thin, with a blunted (or foiled) tip. 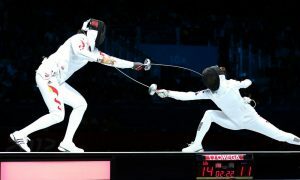 Foil blades are flexible enough to bend upon striking an opponent, in order to prevent injuries. 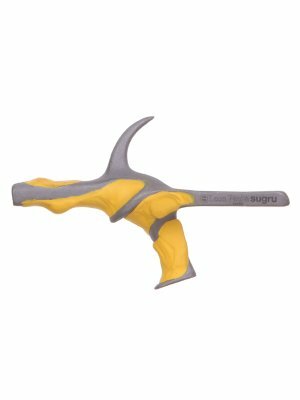 Sabre: The sabre weighs only a couple of pounds is designed primarily for cutting. It differs from the other modern fencing swords, the épée and foil, in that it is possible to score with the edge of the blade. For the other two weapons, valid touches are only scored using the point of the blade. Épée: French for “sword,” this weapon is similar to a foil, but has a stiffer, V-shaped blade, has a larger bell guard, and is heavier. The epee is the only weapon in which the entire body is the valid target area and in which there are no rules of “right of way”. Note: Blade Sizes – 5, 2, 0, What? Most fencers use what is called a “Size 5” blade. This is the standard adult size. Youth fencers that are under 10 years old need to use a “Size 2” blade. The size 5 blade is approximately 35 inches long, where the size 2 is approx. 32 inches long and a “Size 0” is, yes you guessed it, about 30 inches long. Most fencing equipment suppliers should let you choose your blade size, or have special products set aside for youth fencers. If you have any questions about what sized blade to get on your first fencing foil, epee, or sabre, ask your coach. 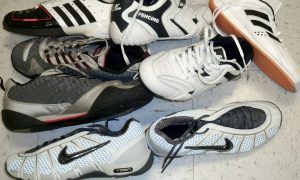 What shoes to wear for fencing is another common question. Shoes are not included in any beginner equipment kits. While you can spend hundreds of dollars on top-flight specialized shoes, you don’t need to drop that kind of cash to begin fencing. 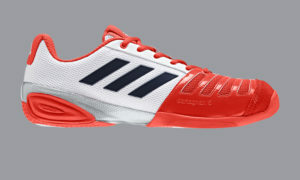 You should get some decent but inexpensive court shoes to start – tennis or volleyball make good choices. 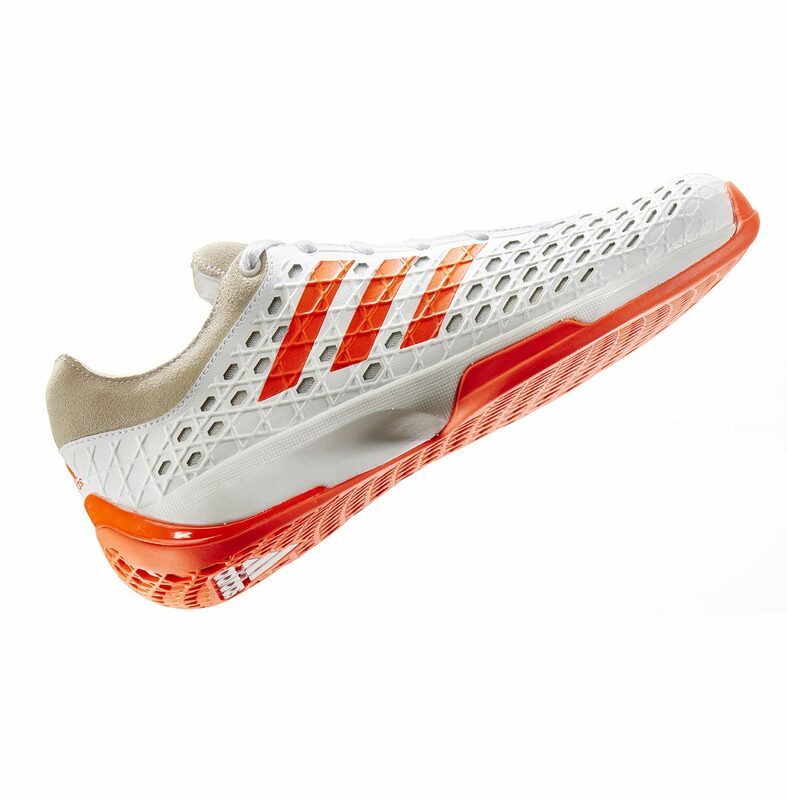 Read through our Guide to Fencing Shoes for more information and some good options.